Cape Town isn’t just renowned for its amazing wonders and attractions. It’s also considered the culinary capital of South Africa, with world-famous restaurants and chefs making the Mother City their canvas for fine cuisine. Capetonians love their food, and we have pretty high standards! Our fair city is also home to a proud Islam community, and thus we have a collection of top Halaal and Muslim-Friendly eateries, with great food on offer that has our coveted City Sightseeing seal of approval. Here’s our list of the top Halaal restaurants in Cape Town. This one is a real gem. Located in Green Point, the Gold Restaurant guarantees mouthwatering cuisine and a wide variety of shows. 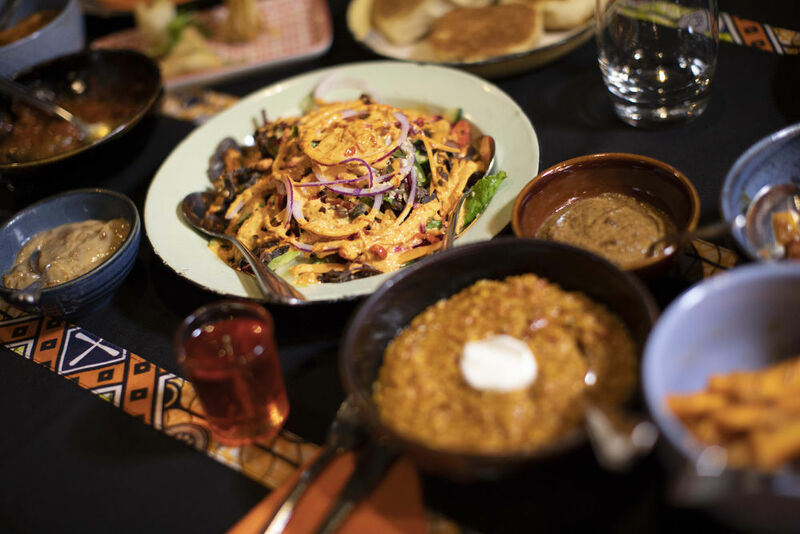 With a range of foods from across Africa including but not limited to Morocco, Egypt, Tanzania, Namibia, and South Africa, there’s sure to be something for you to enjoy. And with live performances of music, dancing and plays, you’ll always be entertained at the Gold Restaurant. This Euro-Asian fusion restaurant, located in Green Point, serves a collection of international style dishes that include grilled meat staples and fresh seafood delicacies. They also serve favorites such as Dim-Sum. Their specialty is sushi however, prepared by expert chefs and served in all their colourful glory. If you love good food, this is the place to be. Nestled in the heart of the Waterfront, Quay Four is well within reach of hotels, attractions and our main City Sightseeing Ticket Office, found on the map here. This is a popular restaurant amongst tourists and locals alike, serving a 5 Star array of seafood and grills, from prawns to steaks and everything in between. While their menu does feature pork items, they have two separate kitchens where seafood is prepared in one, grill dishes in the other. So you may want to ask your waiter if your food can be prepared in the Muslim Friendly kitchen. This classic eatery in Green Point was once a Milk Bar. Now, Sloppy Sam offers classic Mediterranean and Middle Eastern cuisine, offering slow cooked food in a comfortable, laid back atmosphere. This restaurant is famous in the area, so be sure to check it out. 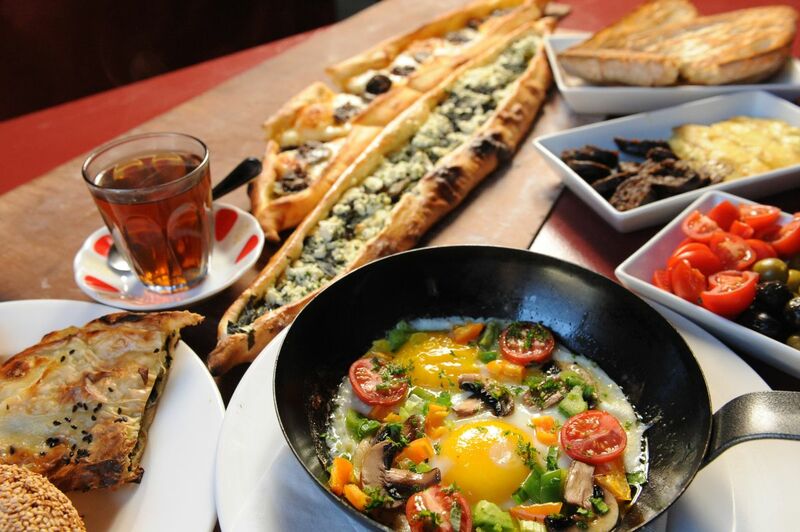 The most authentic Turkish cuisine in the whole of Cape Town, treat yourself to an evening of taste sensation in a relaxed, beautiful atmosphere at Anatoli on De Waterkant street. With Mezze platters of delicious Turkish treats, this venue is Halaal certified and It’s a definite must-see during your stay in Cape Town. Bo Kaap is the heart of the Cape Malay community in Cape Town, where Islam in South Africa first made its roots. This colourful area has a delightful authentic Cape Malay restaurant, Bokaap Kombuis. Family run, this delightful restaurant has amazing views and food to match, with renowned hospitality. Bo-Kaap is an easy walk from our City Sightseeing STOP 5 on Long Street. 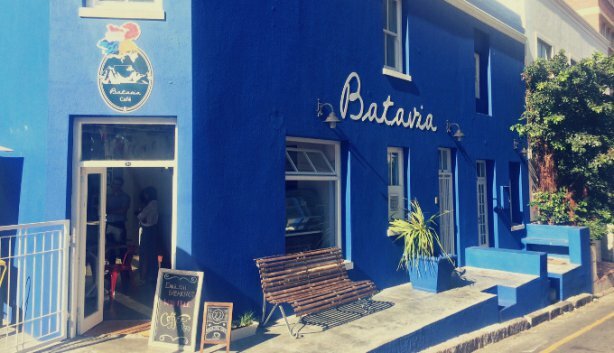 Also located in the colourful suburb of Bo Kaap, Batavia Cafe is a stylish, delightful coffee shop and spot for breakfast and light lunches while you’re in the CBD. With cakes, poached eggs, and sandwiches, it’s an idyllic setting you don’t want to miss. It’s also nestled in amongst the houses, styled like a home to welcome guests. This venue is close to our Long Street ticket office, STOP 5, and we also offer FREE Bo Kaap walking tours from there. 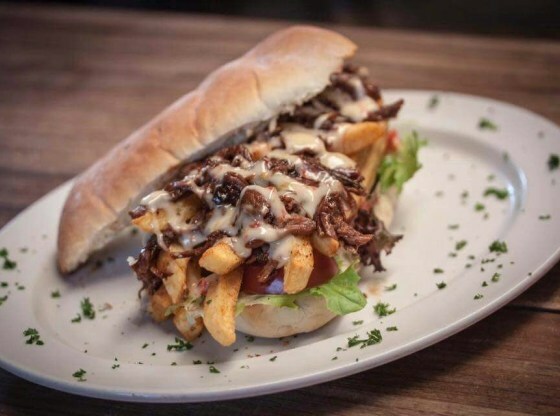 Located in the bustling area of trendy Woodstock, District Cafe offers a variety of burgers, salads, grills, breakfasts, and sandwiches, all delightfully fresh. They use only the best ingredients, and this comfortable cafe is also renowned for its mocktails. 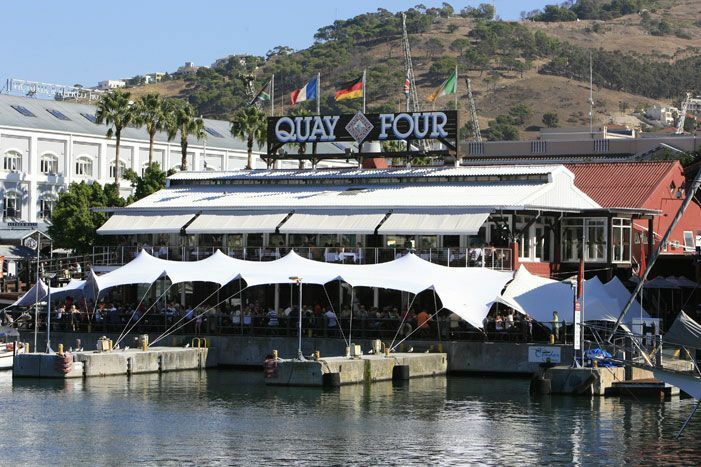 Another one of our favourite spots, the Cape Town Comedy Club is right next to our STOP 1 at the V&A Waterfront. Offering dinner and world-class comedy shows, this trendy restaurant offers great laughs and mouth watering grills and Cape Malay cuisine. Be sure to pay them a visit when you’re at the waterfront in the evenings. This cafeteria-style eatery in the CBD offers a variety of menus catered to Middle Eastern and Asian cuisine, with delicious fast food available from shwarma to curries and stir-fries to Chinese fried chicken. It’s a bustling hub of scents and flavours for everyone to enjoy at a very reasonable price, and it’s also within short walking distance of our City Sightseeing Long Street STOP 5. These are our favourite top Halaal and Muslim Friendly eateries in Cape Town. You’re certainly spoilt for choice, and we encourage everyone to pay them a visit. 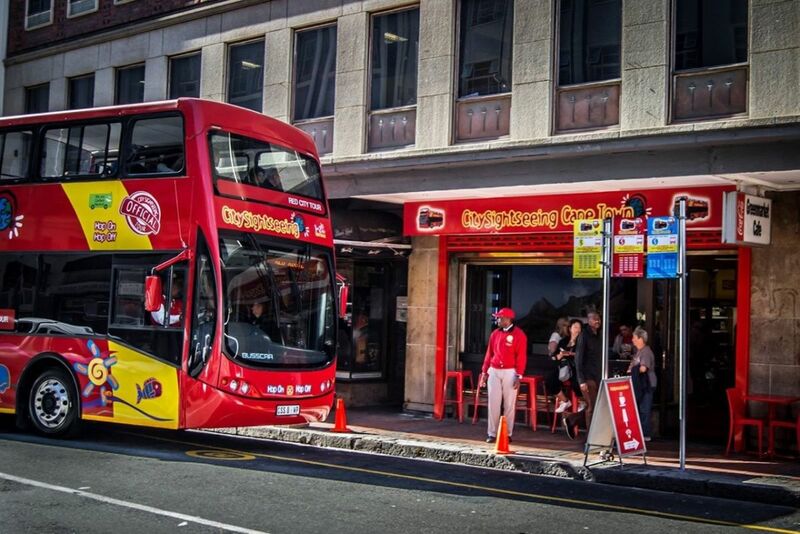 Be sure to buy your City Sightseeing Hop on Hop off bus ticket to take you to all the best attractions in Cape Town, and you’ll be sure to find these fine venues on your adventures with the Red Bus in the Mother city.